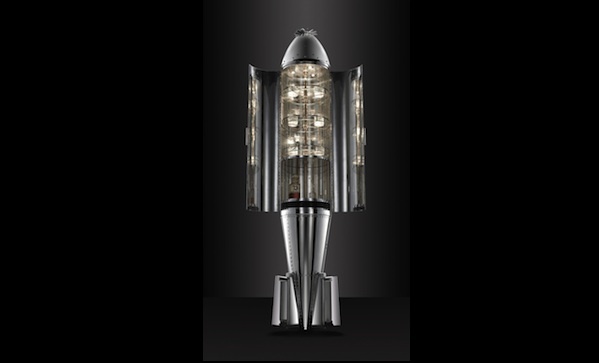 Doors closed, the bomb ($TBD) looks pretty much like a bomb—albeit one from the Atomic Age and chromed out . . . or at least, polished up good. Open the doors, though, and you get lights, glass shelving, lacquered walnut—all the details necessary for a fantastic drinks cabinet. Well, we guess you could use it like any kind of cabinet . . . but come on, drinks cabinet!